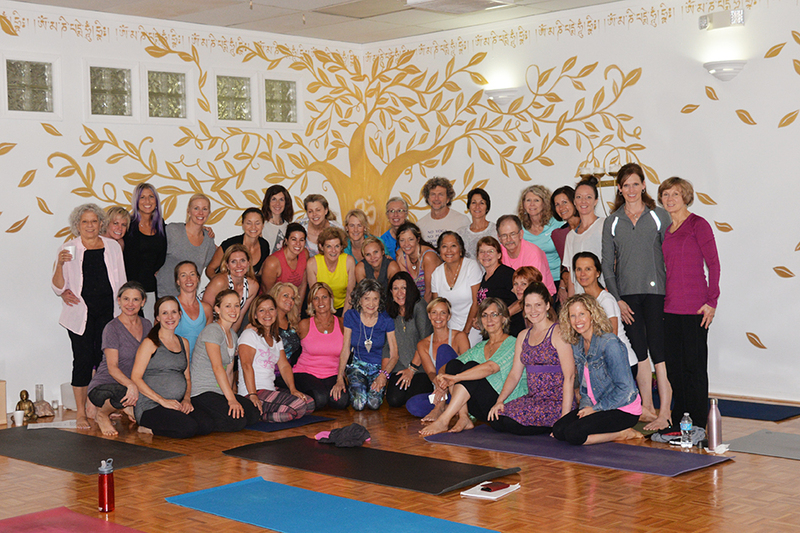 The Eternal Energy of Yoga: A Master Yoga Class with 100-year-old Tao Porchon-Lynch is a once-in-a-lifetime experience. Still able to defy gravity in poses, Tao started yoga at 8 years old in India and embodies the principles in a very modern and accessible way. In addition to first-hand influence from Mahatma Gandhi and Indra Devi, Tao studied with a Who’s Who of the Spiritual World including Sri Aurobindo, Swami Prabhavananda, Dr. Roman Ostoja, B.K.S. Iyengar, K. Pattabhi Jois and the Maharishi. Use the four pillars of yoga: pranayama (breath work), mudras (gestures), bandhas (energetic locks) and chakras (energy centers) to explore the rich potential of the body to renew, heal and revitalize. Practice Tao’s special “yoga tango” integrating breath, movement and music, and experience a deeply absorbing meditation–inspiring compassion and inner peace. Learn Tao’s “secrets” to vitality and boundless energy via techniques that are not taught elsewhere. Have the opportunity to ask questions only hindsight and living history can answer. Participants will walk away inspired, strengthened and renewed–ready to energize their yoga practice and craft a vibrant “Tao-like” life! Tao has taught around the world and across the United States at places like the Pentagon, Integral Yoga Institute New York, Omega Institute for Holistic Studies, Kripalu Center for Yoga & Health, as well as local yoga studios such as YogaWorks in New York, Urban Yoga in Phoenix and Mark Blanchard’s Yoga Kansas City (see blog post). Workshops are usually 90 minutes. Tao can tailor programs for beginners, as well as intermediate students–including two back-to-back sessions. 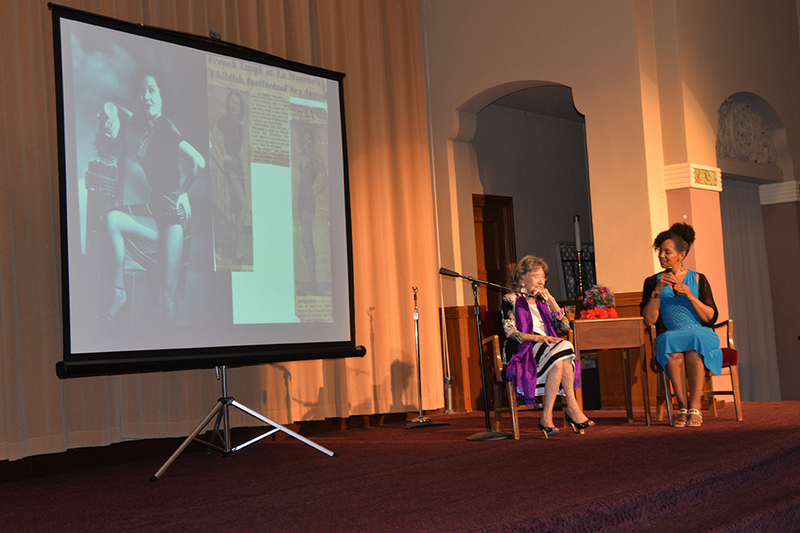 Conversation with a Master: An Evening with 100-year-old Tao Porchon-Lynch has been a hit with audiences around the world. Be enthralled by Tao’s journey on multiple continents as a World War II French Resistance fighter, actress, model, producer, and entrepreneur, while you learn her approach to overcoming obstacles and living mindfully. This guided conversation and multimedia slideshow is moderated by Tao’s student and biographer, Teresa Kay-Aba Kennedy–Harvard Business School-trained strategist, yoga teacher and wellness empowerment coach. Hear first-hand stories about historical icons such as Mahatma Gandhi, General Charles de Gaulle, Ernest Hemingway, Coco Chanel, Marilyn Monroe, Marlene Dietrich, the Maharishi and others. Explore concepts such as Oneness and mindfulness, and gain insights on topics such as mental attitude, follow-through/procrastination, and dealing with disappointments. Learn Tao’s “secrets” to vitality and boundless energy, and experience her special meditation. Participants will walk away inspired and informed–ready to craft a fearless and fulfilled “Tao-like” life! This event has been presented to a variety of audiences such as the Women’s Forum, the Young Executives Society (YES) in Slovenia (see blog post), the Jewish Community Center (JCC) Mid-Westchester (see blog post) and the historical holistic center Wainwright House (see blog post). A version of it was presented at the Pentagon and the Harvard Business School Club of NY (see blog post). Since Tao’s life is so rich with stories and insights, the program can be tailored to your needs and can be turned into a motivational program entitled, “There Is Nothing You Cannot Do!” and a corporate program entitled, “Insights on Creativity & Mindfulness” co-presented by Tao and Terri. 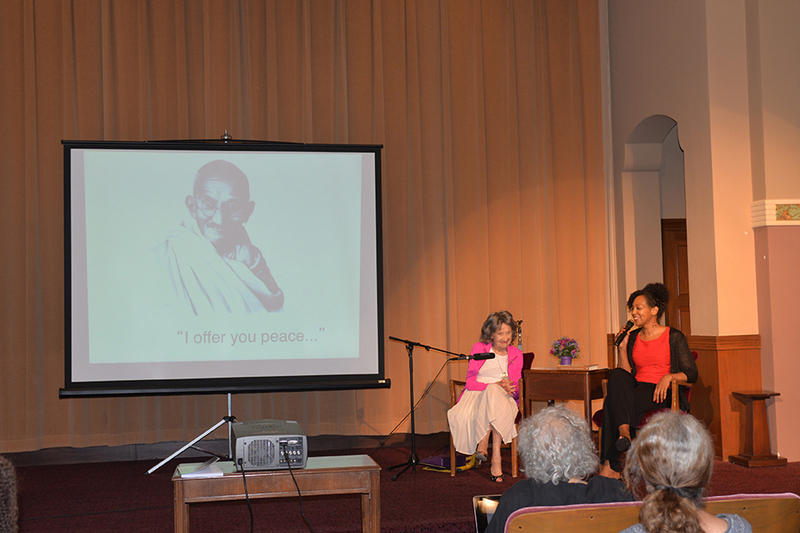 The Gandhi Effect: Transform Yourself and the World Around You debuted to a standing room-only audience at the 2011 Newark Peace Education Summit that headlined His Holiness the 14th Dalai Lama. 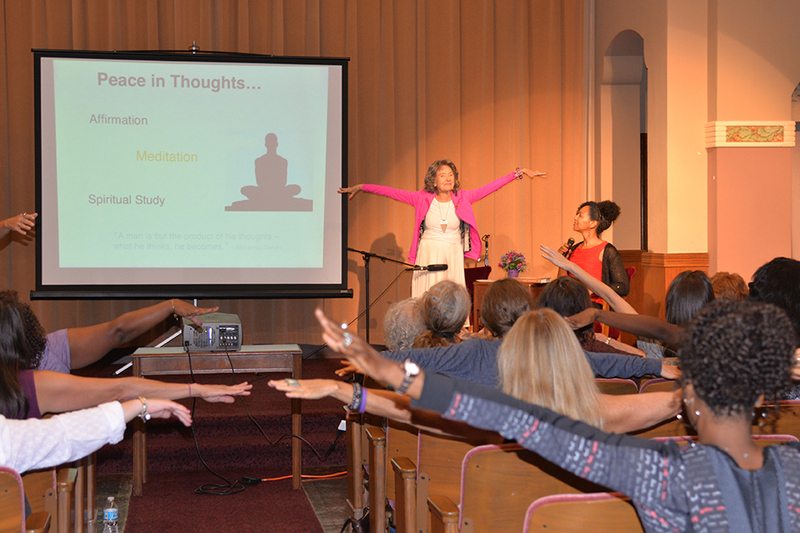 Using the teachings of Gandhi as the backdrop, 100-year-old yoga master Tao Porchon-Lynch and Harvard-trained empowerment coach Teresa Kay-Aba Kennedy will share insights and practical tools for personal transformation. 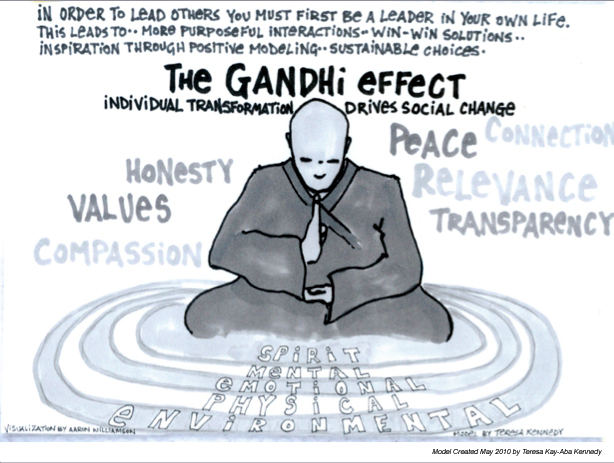 Gandhi believed that all people can shape and guide their lives according to the highest ideals, and that personal change and the ability to bring about social change are linked. Through intention and conscious action, we can collectively prepare the ground for “the world of tomorrow” today. Learn strategies and techniques for setting up their own “experiments with Truth” and creating “zones of peace” in their lives through tools such as breath control and meditation. Explore concepts such as Oneness and mindfulness, and use language to bring compassion to all of their relationships. Align personal values with opportunities for social impact, and practice ways to support their work as change agents. They will learn how to apply these techniques to modern-day situations and use them as tools for more energy, productivity, creativity, joy, prosperity and peace. Participants will walk away inspired and informed–ready to craft a fearless and fulfilled “Tao-like” life! This program was created by Teresa Kennedy at the Young Global Leader Summit / World Economic Forum event in Tanzania in May 2010. Tao can also lead “An Intimate Wine Gathering” and/or a “Yoga and Wine Workshop.” She is a co-founder of the American Wine Society and still serves as Vice President of Southern New York. Her family owned a vineyard in the Rhone Valley and, for over 30 years, she published Beverage Communicator–one of the first three wine newspapers in America. Other programs can be tailored to your audience. 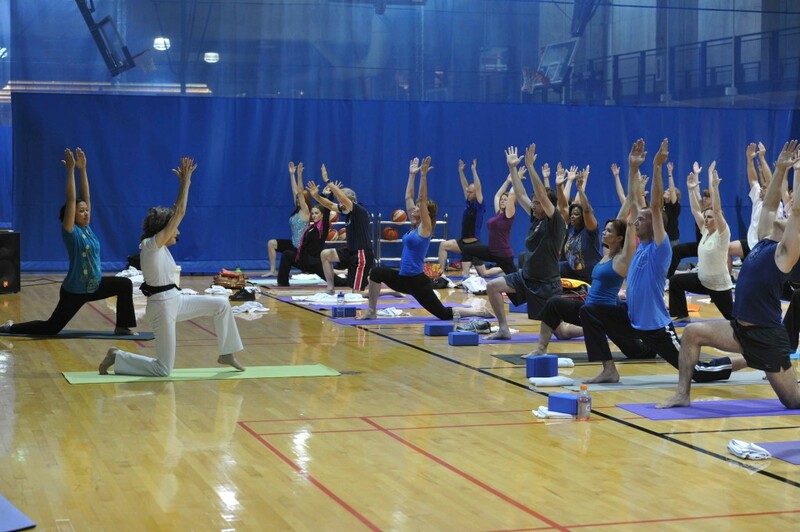 Tao has done countless other events across the United States and around the world. To optimize Tao’s time, we often schedule “The Tao Experience”–multiple programs in a city (e.g. yoga workshop, moderated talk, corporate program) and media interviews. 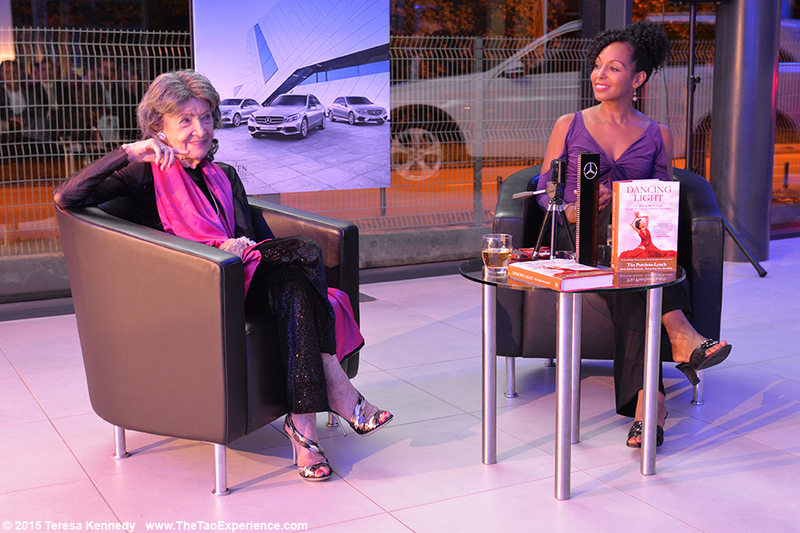 To host an event, email Teresa Kennedy at info@power-living.com. We will determine Tao’s availability and provide information on her fees. Find out more about past events and venues. Don’t miss the incredible opportunity to learn from a true master and share in her beautiful light!